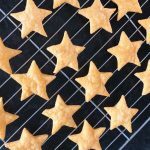 These cheese star biscuits are very easy to make but be warned, they are addictive! 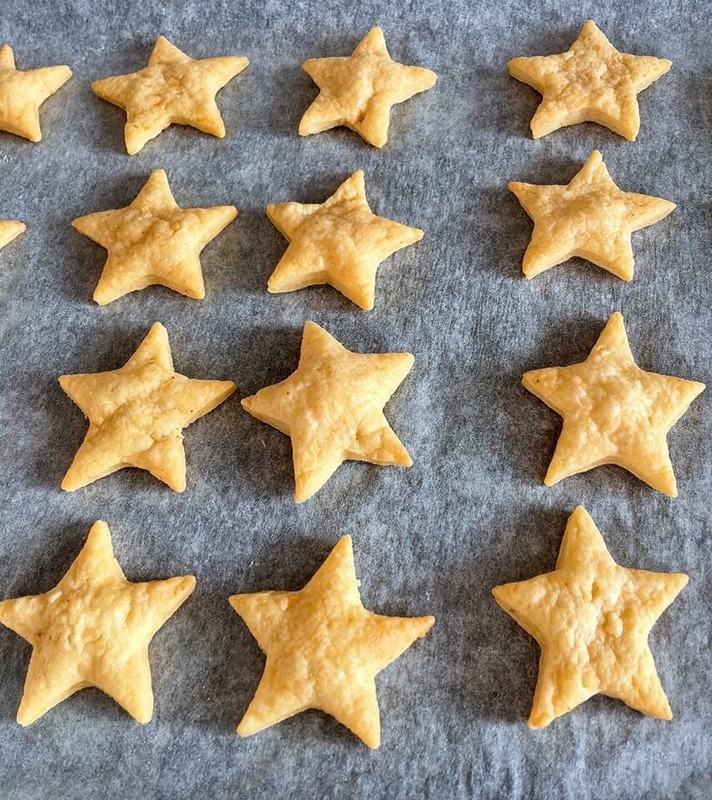 I’ve been making these little cheesy biscuits since my eldest son’s first Birthday – he turns 15 next month! How the heck did that happen – I feel like I’ve skipped a few years somewhere along the way. This is the first in a series of “quick bakes” I’ll be sharing with you over the next couple of months. The dough for these biscuits is child’s play to work with – you simply pop all the ingredients in a food processor. If you don’t have a food processor, you can of course do it by hand – it just takes a bit longer for the dough to come together. It helps if your butter is nice and soft. When it comes to rolling out, the dough is very forgiving. It doesn’t seem to mind being roughly handled and re-rolled. No matter how many times I squige the cut offs back together and re-roll, the biscuits always turn out perfect -cheesy, crisp, melt in your mouth and delicious! Crisp, melt in your mouth, cheesy little biscuits! Preheat your oven to 200C/fan 180C. Grease and line a couple of baking trays. Simply mix together all the ingredients together in a bowl or place in a food processor and process until the dough comes together. Dust a work surface with flour, then roll out the orange dough and cut out your shapes. Place on the baking trays and bake for 8-10 minutes or until puffy and golden. Remove from the oven and transfer the biscuits to a wire rack to cool. Obviously the amount of biscuits you will end up with will depend on the size of cutter you use. 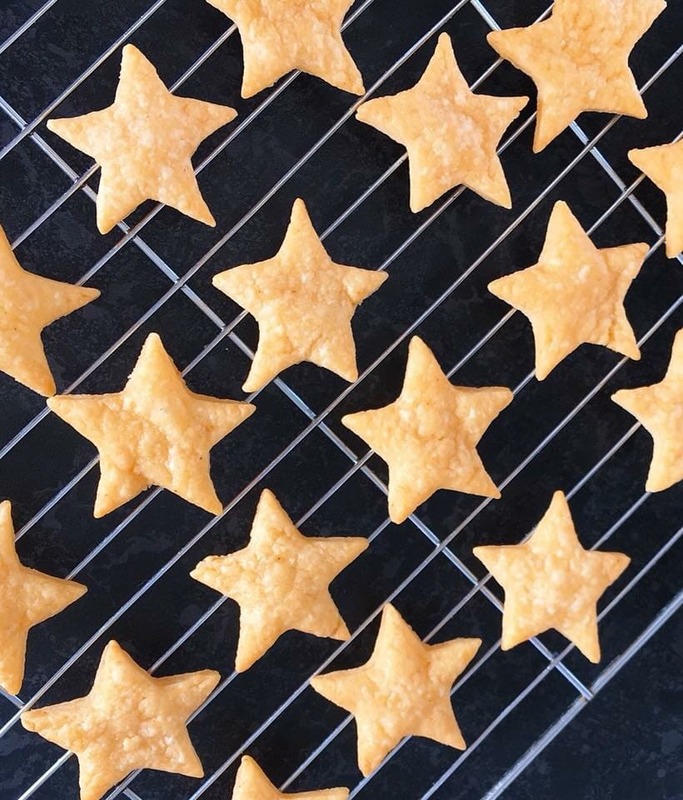 I used a small 3cm star cutter and got about 40 biscuits. Very slightly adapted from a recipe by Nigella Lawson. Hi Bobbi, I use Google for converting recipes – but I am planning to add cup measurements to my recipes in the near future. It might take a little while though! ? I’m afraid I don’t feel qualified to give advice on nutritional information. Thanks! 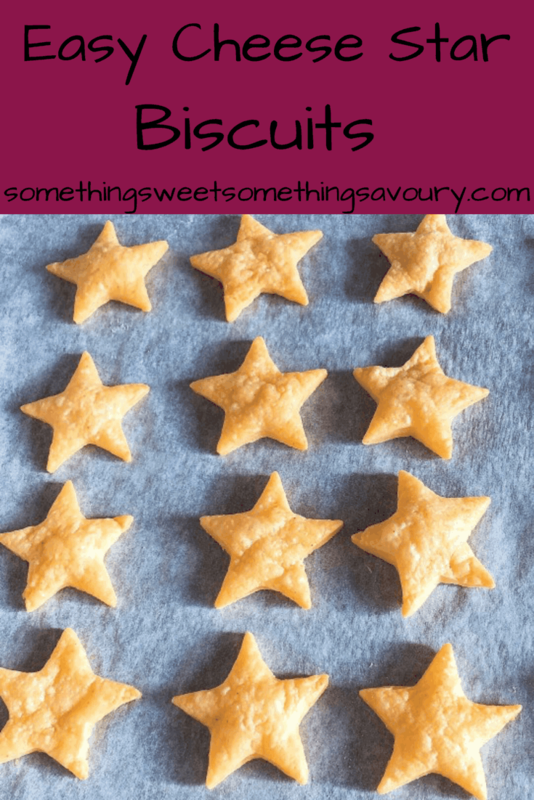 Oooh I do love a quick cheese biscuit recipe & this one looks lovely! Would be easy to make Peachick safe with dairyfree cheese & parmesan too! Yes you definitely could! Thank you ? these are very similar to some cheesy biscuits that my mum makes us at Christmas. your stars are so neat and cute.